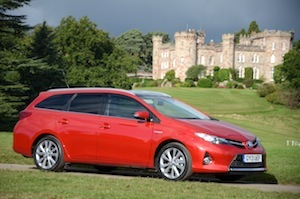 Hybrid cars can genuinely offer high levels of fuel economy if driven carefully. You can now choose from an increasing range of petrol-electric hybrids and diesel-electric hybrid vehicles on sale in the UK in 2014, so if you are interested in buying one, here’s our top 10 list of the best hybrid cars to help you decide. The car reviews all contain full car specifications with data on emissions and driveability ratings. 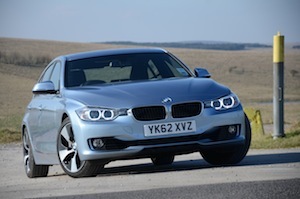 Also see our Top 10 Electric Cars feature for plug-in hybrid vehicles. Okay, so it may be a controversial first place, but the fact is that the BMW ActiveHybrid3 comes close to the M3 in terms of the driving experience and performance, but with around half the emissions and twice the economy – that’s why it’s our favourite – if expensive – hybrid. 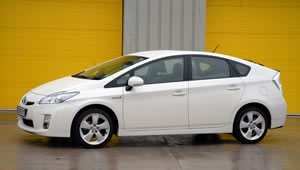 Back in the real world, the Toyota Prius hybrid takes some beating as an economical family hatchback. It offers space and low emissions, together with an easy driving experience thanks to the CVT transmission, even if that isn’t to everyone’s tastes. 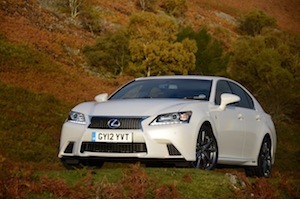 The Lexus GS 450h is a very refined way to travel, combining performance and economy – although not both at the same time. 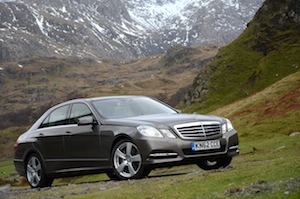 The Mercedes-Benz E-Class Hybrid is a diesel-electric hybrid rather than a petrol-electric hybrid, so it has an impressively high official combined economy figure of 65.7mpg. 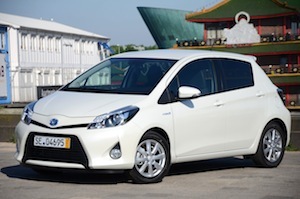 The Toyota Yaris Hybrid brings full hybrid technology to the supermini class, together with an impressive 70.6mpg. 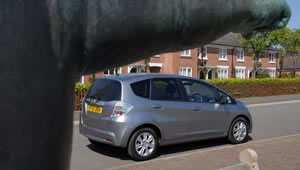 The Jazz is Honda’s offering in the supermini class, with an official combined economy figure of 62.8mpg from Honda’s IMA ‘mild’ hybrid system. 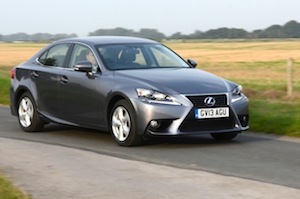 The Lexus IS 300h offers a smaller, more affordable hybrid option than the GS 450h. Official economy is 65.7mpg. 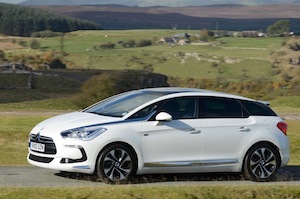 Peugeot and Citroen both offer diesel-electric hybrids – the most stylish of them is the Citroen DS5 Hybrid4, which has an official combined economy figure of 80.7mpg, although this is difficult to achieve in real-life. 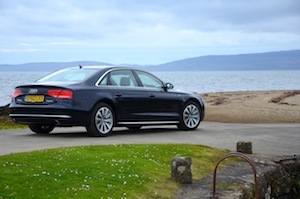 The Audi A8 Hybrid combines a 2.0-litre TFSI petrol engine with compact hybrid technology to deliver 44.8mpg.